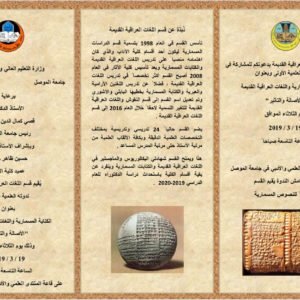 the College of archeology, Department of Indigenous Languages of Iraq will organize workshops, exhibitions and talks to promote the importance of the Indigenous Languages of Iraq. Marking the official kick-off of the Sámi Parliament's language campaign, this conference will be the first major commemoration of the UN International Year of Indigenous Languages in Sápmi. We are delighted to invite Sámi municipalities, language centres, linguistic and cultural institutions, private and public players and business and industry, as well as indigenous peoples from all over the world to this conference. International Online Seminar on Indigenous Languages are held to motivate and increase knowledge of people.